Become the world’s best retailer. Retail is changing, don’t get left behind — join us for our monthly Retail Success webinar series as the top 50 industry experts teach you the strategies to retail success. Check out our past events and get thousands of dollars of industry expertise for free. 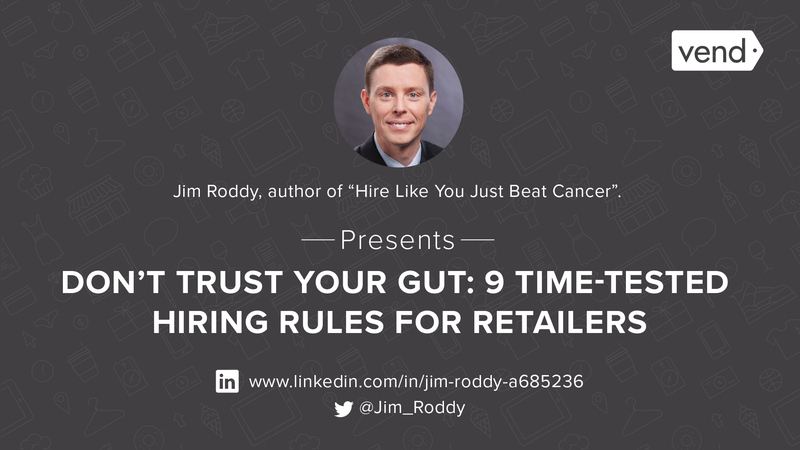 Don’t Trust Your Gut: 9 Time–Tested Hiring Rules for Retailers. If you’re struggling to find and keep competent retail employees, you can’t afford to miss this event. In this webinar you will learn a proven, successful process that will exponentially reduce your number of bad hires and make your successful hires even better. You’ll get to know the “Hire Like You Just Beat Cancer” system, a process that will lessen your staffing frustrations and help you become a hiring champion among all retailers – large and small. Say what you will about Amazon, but they are a formidable competitor to all retailers out there. But what’s interesting about the company’s approach is that it can be duplicated by just about every other business today. In other words, you too can do business – and succeed – like Amazon. 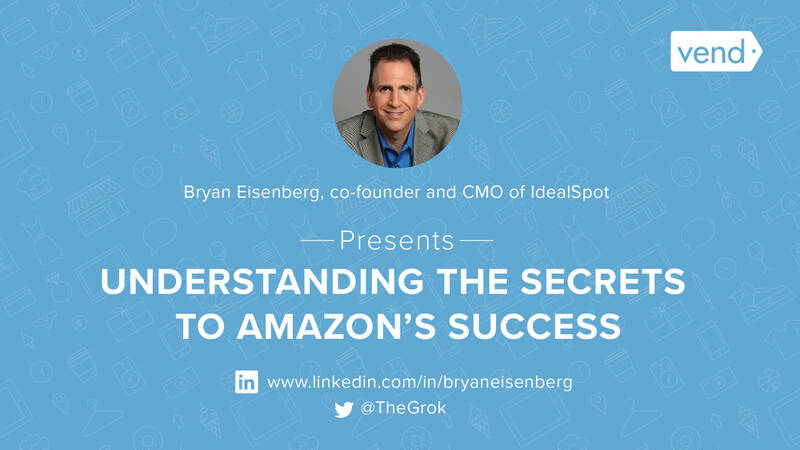 In this keynote, you’ll uncover and understand how to use the hidden secrets behind Amazon’s success, so you can make them your own. How to Design Stores That Delight & Convert Shoppers. In today's retail landscape, it's not enough to open a store. Your shop should tell your story, be laid out for optimal engagement, and surprise and delight shoppers. To do this, you need to not only have a well thought‑out merchandising plan, but you also have to offer memorable moments. Creating inspired retail entails utilizing enabling technologies to fully digest customers’ behaviors and shopping journeys. In this webinar, Shelley E. Kohan of RetailNext explains how applying measurable and relevant retail analytics empowers the delivery of enhanced shopping experiences. With very few exceptions, retailers cannot compete on products and price; your merchandise can be found elsewhere easily and for less money. Smart retailers gain an advantage by the quality of service they deliver. In this webinar, learn how to think outside the box to provide surprise-and-delight customer service that propels you ahead of your competition. Learn from one of the industry’s top inventory experts and get actionable steps on how to manage and streamline your inventory, so you can spend less time counting and more time growing your business. You’ve set your sales targets, now beat them! Led by Kevin Graff, one of the industry’s top retail authorities, this webinar will arm you with the tools and techniques to improve your store’s bottom-line. The greatest force of change in retail today is the empowered consumer. They can literally shop anytime and anywhere. Watch Chris H. Petersen, PhD, as he explores the drivers and core metrics of omnichannel and the three essential components of the modern-day consumer experience. What do the world’s most successful retailers have in common? They use social media to grow their businesses, utilize data to make smart decisions, and have a passion for retail! Presented by Nicole Reyhle, Founder of Retail Minded and Forbes contributor on the retail industry. Alicia Fiorletta, Senior Editor at Retail TouchPoints, presents the latest research on social commerce trends and strategies, and spotlights retailers that are already cashing in on social commerce best practices. Get an overview of the power of Vend in this 15 minute walkthrough video and learn what Vend can do for your business.